While landlords run into their fair share of problems when renting out their property, such as tenants who don’t pay their rent on time or who damage the property, there is one type of tenant issue that incites fear and frustration in landlords across the state. If you suspect your tenant is using the property they rent from you for illegal activities, it’s time to take action now. Here’s what you can do. Do You Have Proof of the Illegal Activity? Before you do anything, it’s important that you have proof of the illegal activity that is possibly occurring inside your rental. Keep in mind that there are some restrictions when it comes to obtaining this proof. Even if you suspect your tenant is engaging in illegal activities, such as selling drugs, they still have a right to privacy and you must provide notice before you enter their home. You may be able to obtain reliable information from neighbors who have seen the illegal activities take place, or you may spot illegal activity yourself when you rightfully go into the home for a repair. 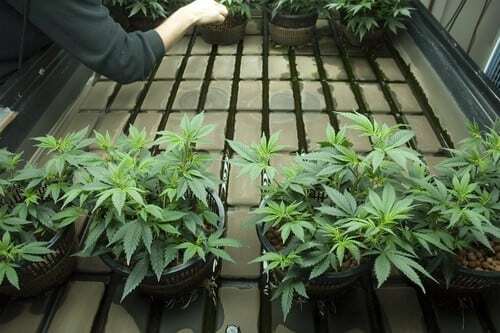 If, for example, you are doing routine yard work and you smell marijuana coming from an area of the house or the backyard, this may be sufficient evidence of illegal activity — like a marijuana grow operation — taking place. Once you have reasonable proof that your tenants are engaging in an illegal activity, you’ll need to make a police report. The police will investigate your claim and may be able to confirm your suspicions. If law enforcement is able to determine that your tenants are using the home for illegal activities, your next step is to initiate the eviction process if your lease allows you to do so. Most leases, even the most basic ones, include provisions for landlords to initiate an eviction if their tenants use the home for illegal purposes. If you suspect that your tenants are engaged in illegal activities in the home you are renting to them, an attorney is your best resource to learn what your rights are as a landlord. An attorney can help you determine how you can get the evidence you need to prove your suspicions and start an eviction. Contact Piper Legal today for more information at (810) 235-2558.